Canada Visit/Tourist Visa - Canada Immigration and Visa Information. Canadian Immigration Services and Free Online Evaluation. 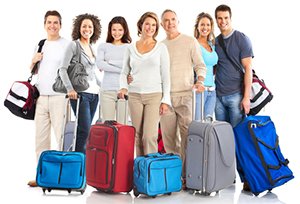 A visitor is a person who wants to come to Canada to work, study or visit. A visitor is not a Canadian citizen or permanent resident. Every visitor, unless exempted, must obtain a visa before arriving. All visitors who require a visa must have the visa when they appear at a port of entry. All air travellers from visa exempt countries require an Electronic Travel Authorization (eTA) before they board a flight. This includes those who are transiting through Canada. It only includes travellers arriving by air. For more information, click here. How do I apply for a Canada visit visa? Submit a visit visa application to the responsible Canadian visa office in your country or region. Your reasons for visiting Canada. Your ability or willingness to leave Canada when the visa expires. Your overall admissibility to Canada. A visit visa is issued and you can come to Canada. At the port of entry an immigration officer will question the applicant to ensure admissibility. A visitor visa may be for single entry or multiple entry use. Single entry visas may be issued up to six months before the expected date of travel. The maximum validity date for multiple entry visitor visas is up to ten (10) years or one month prior to the expiry date on the passport/re-entry visa, whichever is earlier. POE officers will routinely grant entry for a period of six months to a person requesting entry as a visitor. Which countries require a visa to visit or transit through Canada? Do I need to provide biometrics to enter Canada? Canada will expand its biometrics collection to the vast majority of immigrants during 2018. Everyone who applies for a visit visa, work permit, study permit or permanent residence will need to provide fingerprints and a photo. From July 31 2018, the program will be expanded to cover Europe, the Middle East and Africa. Applicants from Asia, Asia Pacific and the Americas will be required to provide biometrics from December 31, 2018.
Who is exempt from biometrics collection? Canadian citizens and existing permanent residents, plus citizenship applicants. Travellers from visa-exempt countries who have an Electronic Travel Authorization (eTA). 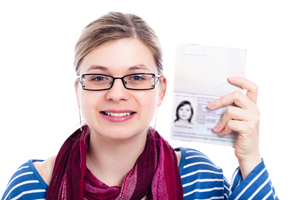 U.S. citizens with work or study permit. Anyone aged under 14 or over 79. Heads of state, cabinet ministers, those with diplomatic status on an official trip. Those with a U.S. visa who are transiting through Canada. Biometric screening is already mandatory for all temporary resident applicants who are a national of a country or territory listed below. Which countries are exempt from requiring a Canada visa? Romania: You do not need a visa to visit or transit in Canada if you hold an electronic passport.